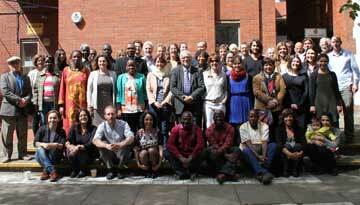 Minority Rights Group > News > Blogs and podcasts > Are campaigners putting planetary concerns before people? Indigenous communities are protectors of forest, yet they are being forced out by groups including environmental campaigners. 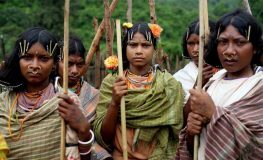 India has a long legacy of neglecting or actively mistreating indigenous peoples and forest dwelling communities. Yet what is unfolding in India after the Supreme Court notice in February to evict at least 2 million forest dwellers from Indian forests in the name of environmental protection is alarming. Under colonial rule indigenous peoples, who are collectively known as Adivasis, came under the Criminal Tribes Act 1931, which meant they were considered criminals irrespective of whether they had committed, been apprehended, or were convicted of any criminal act. Independent India sought to guarantee these communities’ rights by naming them in a schedule to the Constitution and establishing an obligation for the design of affirmative action measures. After years of struggle, the Forest Rights Act in 2006 finally recognised the need to map and grant titles to forest dwellers, through a process that involved local governance at the hamlet level, effectively enabling communities to demarcate their ownership and use of the forests, with oversight granted to local authorities. The move was hailed as progressive: it protected forest dwellers’ land from encroachment, protected the environment, provided guarantees in terms of occupancy and ownership, and facilitated the continuation of centuries-old traditions of allowing communities to benefit from minor forest produce. In over 10 years of its existence however, the act has had negligible impact on mapping forest dwellers’ territory, with many local decisions overturned by authorities higher up, with no explanation. As a consequence, forest dwellers, who were not even informed of the rejections, came to be considered encroachers. So when environmental groups filed a case about evicting illegal settlers from the forest in the name of environmental protection, the Supreme Court issued an order for eviction. While the disaster has been averted for now through a stay order on the evictions, the matter is due to come up at the Supreme Court in July, effectively pitting protectors of wildlife against forest dwellers. This phenomenon is recurrent in many parts of the world, not least with the Ogiek people in the Mau forest, Kenya, who are still awaiting implementation of a progressive judgment from the African Court of Human Rights (2017) that effectively recognised their title to their forest home, where they have faced harassment and eviction at the hands of the Kenya Forest Service. It sets indigenous peoples with ancient tenure to their environs, usually accompanied by sterling records of custodianship of it, against those that seek to justifiably arrest the trend towards the destruction of the environment. Such a position needs careful interrogation. Indigenous forest communities have been the best custodians of their home territories, having lived in harmony with the environment for centuries. The damage visited upon forests have come from large scale attempts to exploit and cultivate these spaces as economic pressures have grown. Commercially driven interests have evicted forest dwellers, whose lack of access to remedies means they are among the world’s increasingly marginalised communities. Using environmentalist arguments against indigenous peoples deliberately misconstrues how forest exploitation occurred, removes those best vested in the protection of their environment, and hands over responsibility to forestry services and the state who are subject to commercial pressure. It risks permanent erasure of cultural knowledge linked to sacred sites, and innovative ways of harnessing the biodiversity of the forest. That is without factoring in the humanitarian disaster of rendering marginalized communities homeless. Colonialism was considered justified by powerful interests who saw the globe’s vast territories as blank territory open for exploitation, with the people living in these territories considered ‘objects’, rather than ‘subjects’ whose consent was needed. Local populations were no different from trees or rivers over which ownership could be claimed, with the new title holders given absolute right in perpetuity to the land. The legal principle of self-determination defeated this phenomenon, ejected colonialism and brought independence from colonial rule. However post-colonial states have remained susceptible to treating its indigenous people as an underclass without rights. The reference to an ostensible “good” – the need to protect forests – ought not to be accepted at face value if it treats forest dwelling communities as objects. Those interested in protecting the limited biodiversity still left, need to engage in solidarity with forest dwelling communities, harnessing their knowledge and values, to ensure that succeeding generations understand the science of living in harmony with the environment. Forest dwelling communities the world over are protectors of the forest: the destroyers sit elsewhere. This piece was written by Minority Rights Group International’s Executive Director, Joshua Castellino, and published by the Thomson Reuters Foundation here.